quiet | i'm on an adventure! 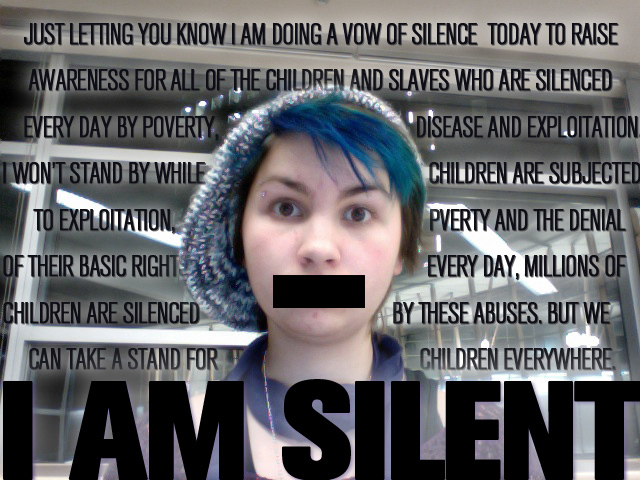 Just letting you know I am doing a vow of silence tomorrow to raise awareness for all of the children and slaves who are silenced every day by poverty, disease and exploitation. I won’t stand by while children are subjected to exploitation, poverty and the denial of their basic rights. Every day, millions of children are silenced by these abuses. But we can take a stand for children everywhere. I have decided I will use my voice in work meetings (as it is my duty to) but not outside of that time so if I do not respond to you tomorrow, this is why. I will also not be text messaging, e-mailing, tweeting or updating Facebook (gasp!). I will also be collecting donations for Free the Children tomorrow so if you have any spare change and want to give someone else the gift of education I would be happy to collect it from you (but no pressure). 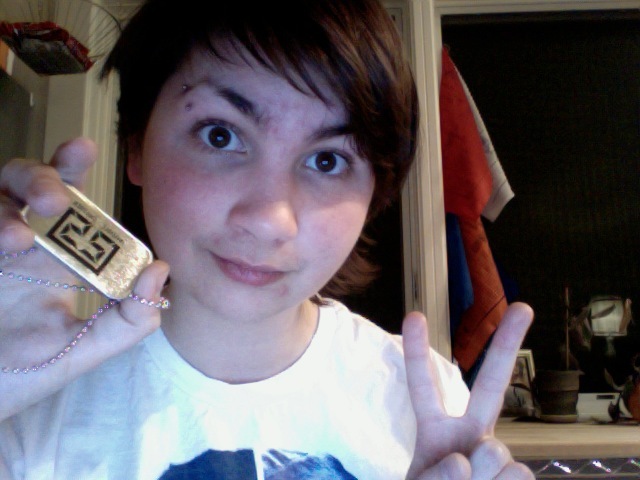 Right now, I am being silent for Invisible Children’s campaign 25. One hour of silence for each of the 25 years of war Central Africa has endured. We can stop this. As a fairly theatrical person I have observed that I use my body so much more when I cannot use my voice. My gestures, my grunts and laughter, they are all amplified. 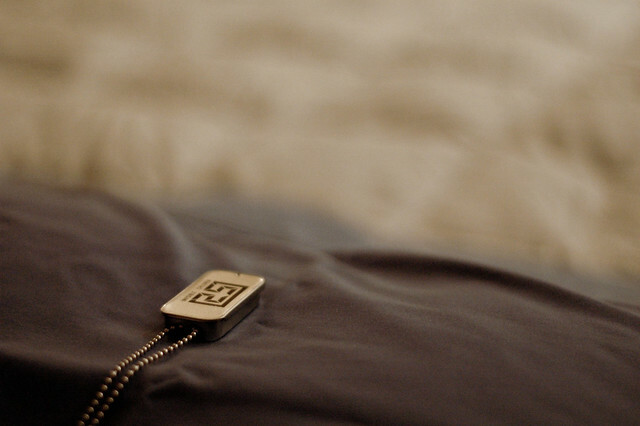 Silence amps up our other tools for communication. I am grateful for my body and my literacy right now. They are both helping me communicate. I am sad that not everyone has this luxury. That is why I am doing this I suppose. I am also enjoying listening. Absorbing information from other people and relishing in these moments of thoughtful reflection I am privy to. We are the change. See you in the morning world.